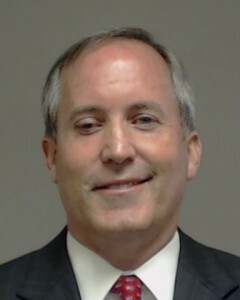 A Collin County court Thursday tossed out an attempt to stop payments to the special prosecutors appointed to pursue the financial fraud case against Texas Attorney General Ken Paxton. Filed by prominent real estate developer and Paxton donor Jeff Blackard, the lawsuit argued that Collin County was paying too much to the attorneys prosecuting Paxton, violating local rules for such fees. In an order issued Thursday signed by Judge Mark Greenberg, the court states that Blackard lacked jurisdiction to file his complaint. Blackard, who filed the lawsuit on behalf of himself and “similarly situated taxpayers,” lives in Hopkins County but pays taxes for two parcels of property in Collin County, along with local sales taxes. See here for the background. This was the result I was rooting for, though I wish it had been on the merits and not on jurisdictional grounds. I presume some actual Collin County resident can be located to act as plaintiff and take another crack at it, so I hesitate to say that this is over. But for now at least, there’s one less distraction. Trail Blazers, which has a copy of the judge’s order, has more. UPDAT: The Chron story indicates that Blackard plans to appeal. No surprise there, I guess.